Mela TV presenter and Jacaranda FM DJ, Kriya Gangiah, will be hosting a family fun pets' day out. 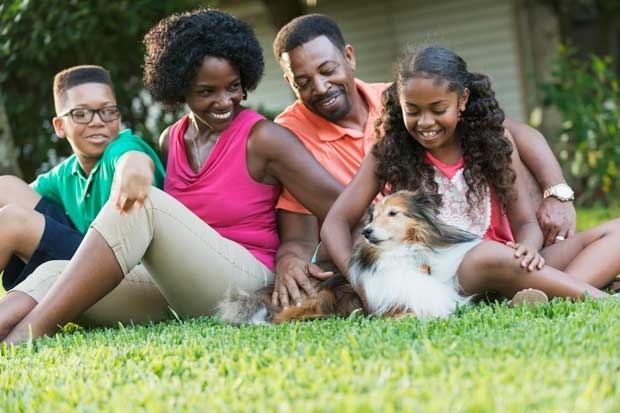 The Bark in the Park festival for furry friends promises residents of the surrounding Pretoria area a fun day out with their beloved pets with all funds raised on the day being donated to the local Woodrock Animal Rescue shelter. "There doesn’t seem to be a lot on offer where owners can take their pets for a fun day out, which is why I think the inaugural event last year was such a success! "Coupled with the fact that we were able to raise R20 000 at last year’s event that went towards caring for mistreated and abandoned pets, it only made sense for me to continue with this worthwhile initiative. "This year I did even more research about animal shelters and organisations that needed financial support so when I heard that Woodrock Animal Rescue wanted to build an animal clinic – I knew they would make for the perfect benefactor this year,” stated Kriya. Woodrock Animal Rescue is a non-profit, pro-life, rescue, rehabilitation and re-homing facility situated in Gauteng. This year’s Bark in the Park line-up includes loads of fun activities for the festival for the whole family to enjoy, like live music by local singer and guitarist, Roan van As, as well as plenty of delicious food and beverage stalls, craft stores and other entertainment throughout the day to keep the two-legged and four-legged guests entertained from 10am – 5pm. According to Kriya, the VIPs (Very Important Pooches) will be spoilt on the day too with plenty of free and on sale treats as well as an onsite grooming facility. The Monument Park Veterinary Clinic is one of the official sponsors that will be present on the day to ensure all attending furry friends are kept safe and will be offering convenient onsite check-ups to ensure pets are healthy and happy. Entrance tickets for Bark in the Park are being sold for R80 on www.barkinthepark.nutickets.co.za and will also be sold at the gates of the Brooklyn Primary School Sports Field on the day. Kriya urges everyone in the Gauteng region to spread the word and bring along their furry friends for a relaxing and fun filled afternoon to support a worthy cause. Visit Bark in the Park's website for more information.